The Gatsby Jazz Band for hire for 1920s to 1930s Jazz and Swing - perfect for parties, weddings, corporate functions and other events across the UK - jazz band and swing band hire based in Bristol. 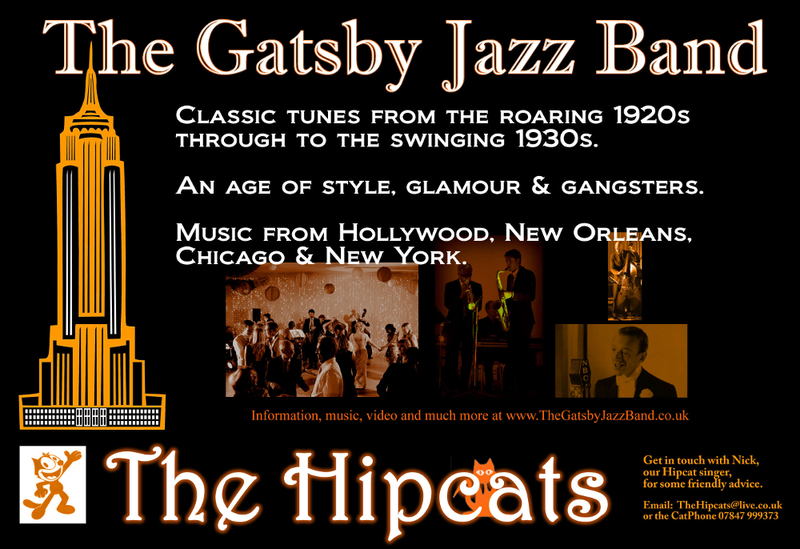 Hire the Gatsby Jazz Band - The Hipcats - for your 1920s or 1930s event. to give you and your guests a fantastic time and bring that wonderful feel of this glamorous era. major venues across Bristol and beyond - the music brings a smile to the face and gets those feet dancing. or take a look at our fabulous pianist, duo & trio.